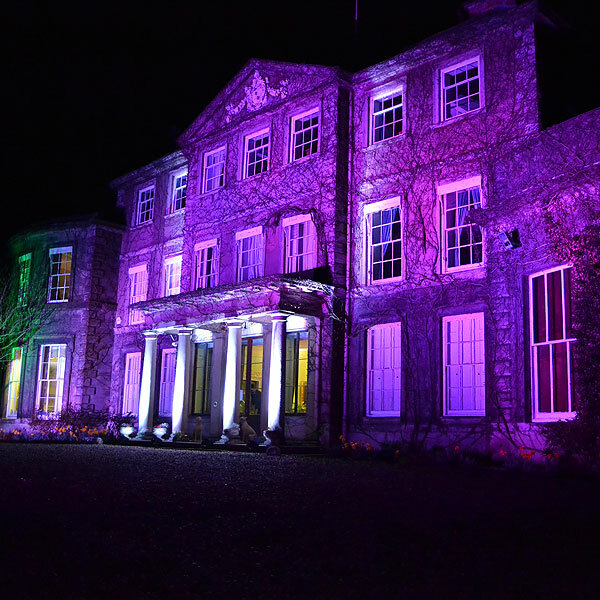 We are able to provide you with the ability to externally illuminate your wedding or event venue - something that looks spectacular for big events. Why not illuminate the outside of your venue or maybe even illuminate your tree-lined driveway, providing a superb first impression for your guests. Our temporary external illumination facility is provided by battery operated freestanding lights which can be used for up to 6 hours continuous use, and which can be set to the colours you want. Please contact us for your bespoke quotation. In order to provide you with a price, we will need to know the location of your venue, the date and timings for your event and any specific requirements you may have.